Our regular monthly meeting is this Wednesday, June 20 at the Wheatsheaf Hotel from 7pm. The focus of the night will be looking at beer faults with a professional ‘off flavours’ addition kit. 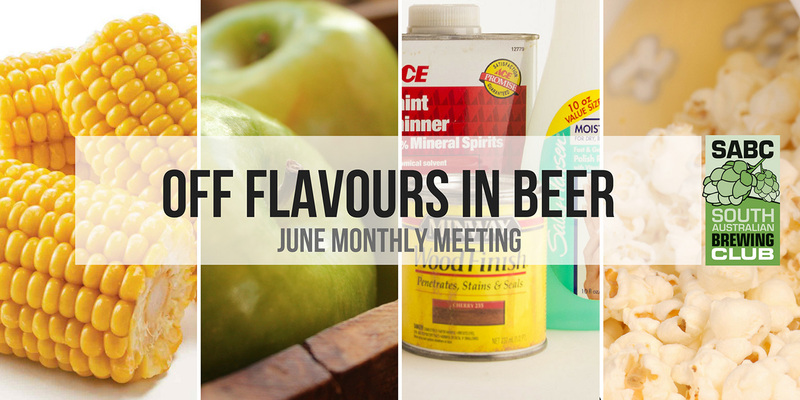 Featuring those pesky off flavours we all strive to avoid in our precious brew, come along and taste them first hand and learn how to avoid them with some help from our knowledgeable presenters. We would like to also give a big thanks to Jade and the Wheaty for sponsoring our base beer. Can you pick them? See you at the Wheaty to find out.